Rey actress Daisy Ridley appeared last night at the premiere of The Eagle Huntress, the documentary she narrates and is executive producer of, and Yahoo! Movies asked her about her thoughts on Rogue One: A Star Wars Story. 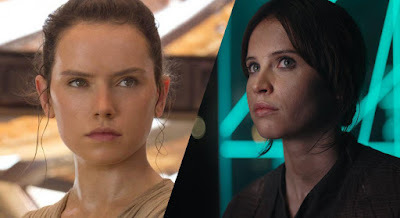 Ridley revealed that she had met and spent time with Felicity Jones, who plays Jyn Erso in Rogue One, and shared her thoughts on what it's like to join the Star Wars universe.